If it was not for the allergies that the girls and I suffer from, Spring would be my favorite season! Trees blooming, birds chirping and time to plant the garden! After weeks of prepping, planning and expanding the garden the plants went in on Sunday. We have come a long way since the first time we tried to grow some things. A few tomato plants in pots just 4 years ago to the largest garden to date this year. We will be growing tomatoes of course, both large and cherry,tons of cherry! We eat them like fruit all summer long). We also have both red and green bell, jalapeño and long hot peppers, cucumbers, strawberries and a first this year an attempt at watermelon. It has really been a team effort this year. Frank bought soil for us that we needed for the expansion. The girls both took turns with both the hoe and rake getting out the weeds. On Sunday when it came time to plant, the girls were so excited. Every year we say that it is “our” garden but of course I do most of the work. Last year they did a wonderful job during the summer harvesting since I was still recovering from the bilateral prophylactic mastectomy. This year it truly is “our” garden. Megan and Madison both did a great job planting. They took their time placing young, fragile plants into perfectly dug holes. Two days later things look great. The plants look healthy and already seem to be growing. 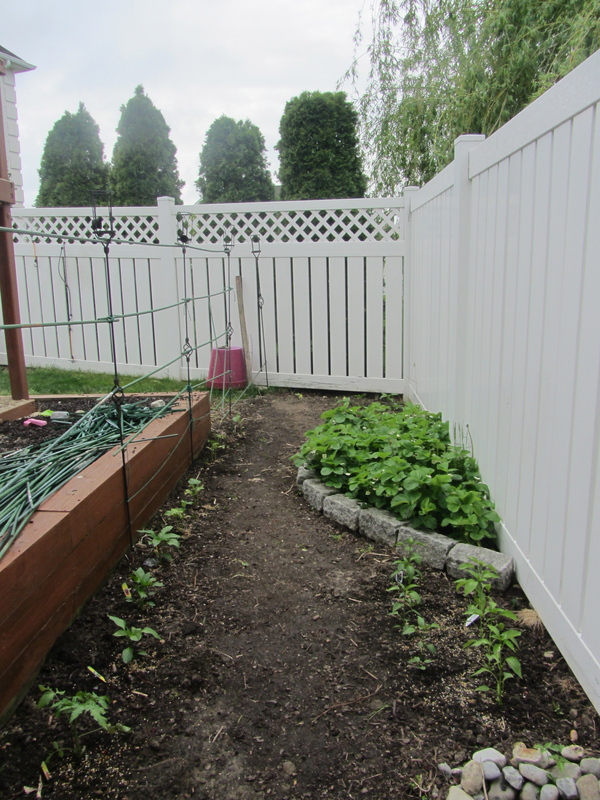 I look forward to watching the garden flourish and to the satisfaction it will provide to my girls. 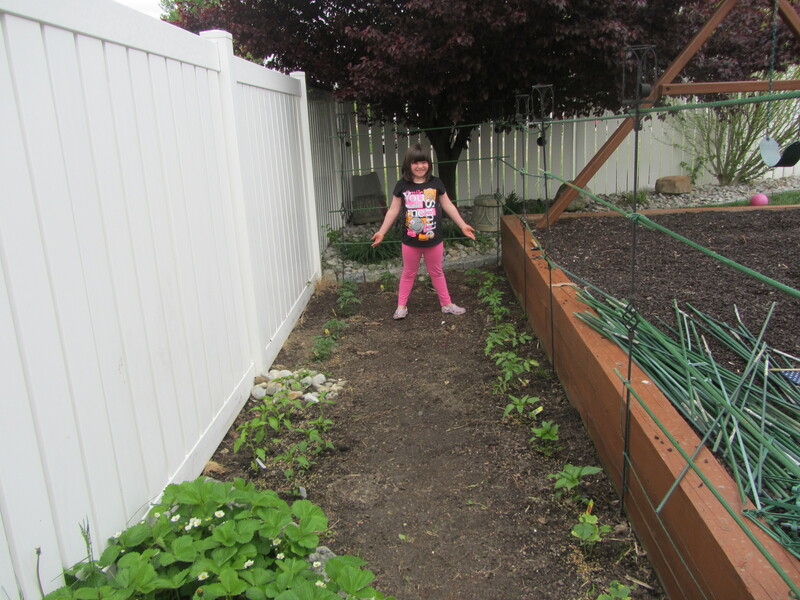 It should be a fun summer of gardening and fresh veggies!